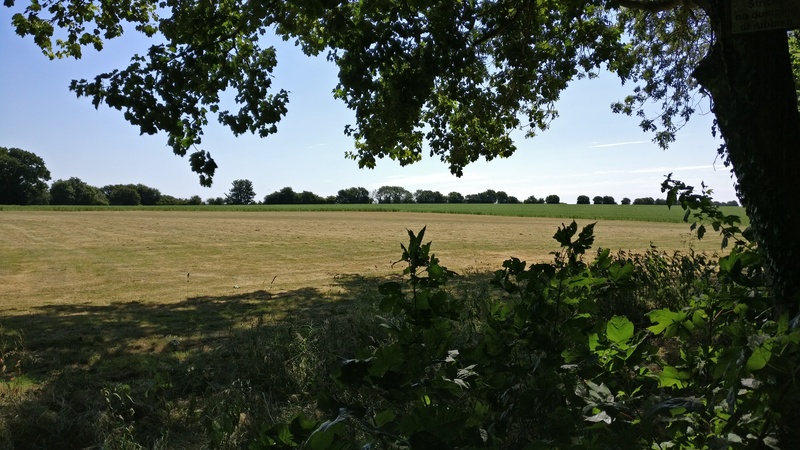 Everywhere along the roadsides to the north and west of Great Dunmow are posters, signs and banners with messages and warnings about the proposed housing development of Easton Park. Online maps on the proposal aren’t particularly detailed, but, after studying a few, I thought that Little Easton was probably going to be fairly central, and most at risk to change, should the scheme go ahead. I found a particularly tranquil spot along the bridleway amongst the trees to record. The wind had picked up a bit by now, and, aided by the openness of the agricultural fields, meant that the trees made a sterling contribution to this recording.